Scout, a companion dog who supports a 17-year-old boy with cerebral palsy, was crowned last week Assistance Dog of the Year in a competition organised by Hill’s Pet Nutrition. 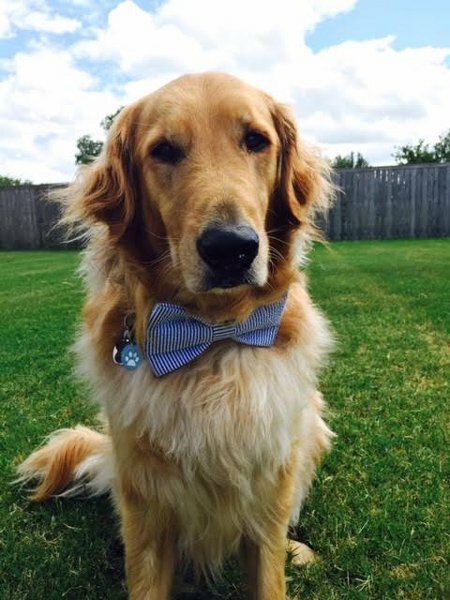 The five-year-old golden retriever provides practical support to his owner by picking up dropped items, removing his owner’s socks, collecting laundry, and closing drawers and cabinet doors. Equally important, Scout serves as a companion and social bridge. Scout’s owner, Duncan Cumby from Stephenville, Texas, will receive a two-year supply of Hill’s® Science Diet® pet food. Hill’s will also make a US$1,000 donation to Canine Companion for Independence, the organisation that trained Scout. “Assistance dogs work every day to improve the quality of their owner’s lives,” said Dr Jolle Kirpensteijn, chief professional relations officer at Hill’s Pet Nutrition. Hill’s partnered with the veterinary journal Clinician’s Brief to run the Assistance Dog competition in early 2017. Veterinary professionals from around the world were encouraged to nominate outstanding assistance dogs they had cared for in their clinic. A panel of independent veterinarians selected three monthly winners and then named Scout as the Grand Winner and Assistance Dog of the Year. “We are delighted that veterinary professionals responded so enthusiastically to the competition, enabling us to share so many heartwarming stories,” Kirpensteijn said.